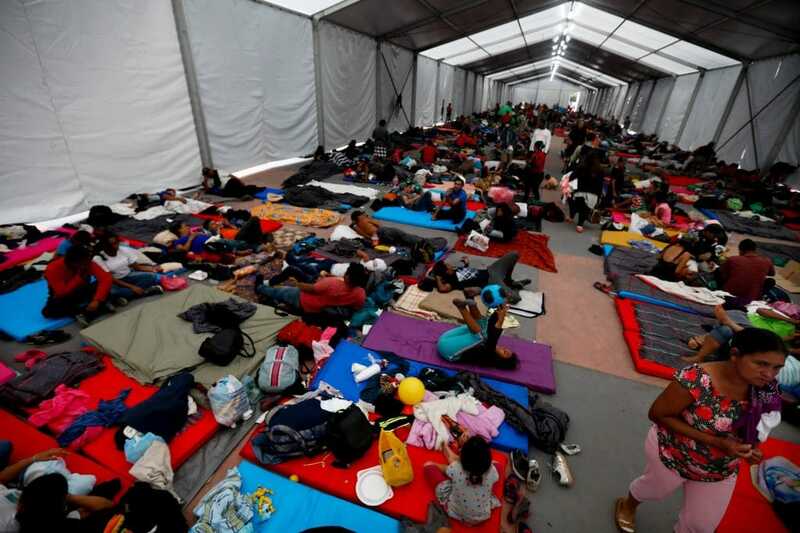 Over the past week, Mexico’s sprawling capital has been transformed into the flashpoint of a global humanitarian crisis of forced migration that is rearing its head in all parts of the globe. In what has universally been described as a “refugee exodus” by asylum-seekers and civil society alike, thousands of Central Americans have found temporary shelter in the Jesus Martinez “Palillo” football stadium, where many are enjoying a temporary respite before continuing their treacherous–and frequently deadly–journey to the North. Among other reasons, the refugees, migrants, and asylum-seekers now hope that they can find strength in numbers and in a rudimentary form of organization–general assemblies and votes held nightly–that would allow them to ward off the threats of state persecution and abductions by criminal gangs who kidnap and often traffic captured migrants, collectively discuss problems and cope with the various hardships encountered in unknown and often hostile territory. Yet on Wednesday evening, only ten lawyers were on hand to answer the important legal questions relevant to every migrant present, and to inform them of the dangers of crossing into the U.S.–where they could face arbitrary, prolonged detention or be separated from their families–as well as the danger of relying on the oft-broken promises of a Mexican government riddled with head to toe with various forms of corruption. In Honduras, we have no jobs, no nothing. I don’t like the government [of U.S.-backed President Juan Orlando Hernandez]–too much corruption, too much bad government. Franklin seemed unaware of the scaremongering hype over the migrant caravan or “invasion” that the Trump administration and Republican Party had sought–rather unsuccessfully–to cynically use to sway voters prior to Tuesday’s midterm elections. He also appeared unaware of the thousands of troops the White House has deployed to the southern border, or other draconian measures meant to discourage the caravan from continuing its journey. The border–how is it? Is it open? Are they letting people, families through? This year it had become a space where people could produce declarations of action and manifestos, [and] there have been actual efforts to come out with action resolutions out of the forum. That has always been the challenge—to maximize these types of spaces for action. Migrants, refugees, and peoples of the world unite and fight capitalist exploitation, plunder and war! Forge the strongest solidarity with the host people in effectively fighting imperialism! Various sectors of the global immigrant community were also represented, including refugee centers for uprooted people, marriage migrants, interfaith organizations as well as militant domestic worker and U.S. guest-worker groups. The reason why IMA has survived for ten years and more is because it has never relied on it being well-funded to exist, it has relied on the mass movement to exist; on the struggle of the poor to resist, on the struggle of the poor to organize, self-organize and be self-reliant. This has been our source of strength and of our ability to survive and last this long: on the strength of the mass movement. 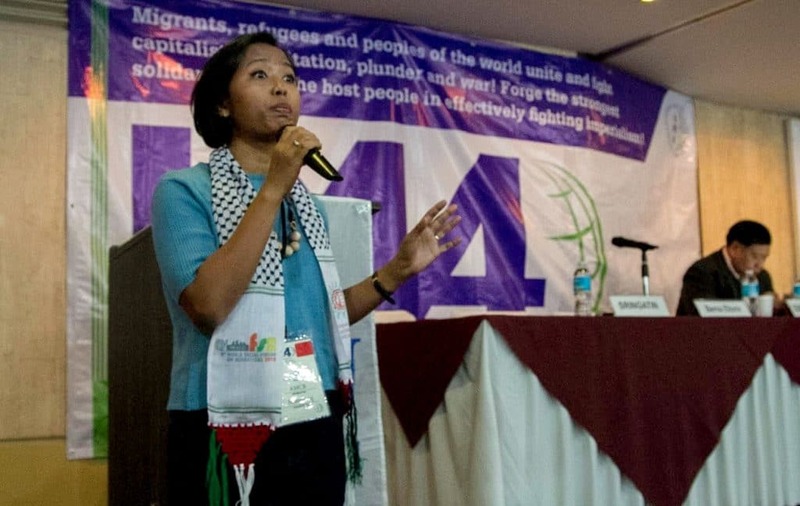 For his group, the need to uplift the voices of migrants must also be paired with a critical analysis of what the systemic economic crisis propelling the perpetual northward exodus from the Global South—the need for the wealthy to further squeeze wealth from the world’s poor. “Capitalist crisis places private property over human rights, it prioritizes the interests of corporations and the owners of industry over the interests of the people who work for these industries, or over those who need work–it places the interests of the wealthy over the poor and displaced, who really need support in these countries,” Osuna noted. U.S. foreign and economic policies are the root, but fundamentally it’s U.S. imperialism and the world capitalist crisis that is being manifested through neoliberal policies that have resulted in these huge exoduses leaving from Honduras, Guatemala and El Salvador–this surplus population of people who are not benefiting from this system. People are simply looking for survival due to the coup in Honduras, the extractivist policies in Guatemala, and the history of U.S. interventionism in El Salvador that created MS-13. It’s not just poverty and violence–this is the superficial view, these two words we hear–but there is something deeper than that, which is the capitalist crisis. In terms of the common root shared across migrant communities, we have the neoliberal policies in Africa, Caribbean, and the Americas–capitalism, U.S. military interventions–these are the major driving forces for people to leave their own land and are forced to come to the U.S. to seek asylum. At the U.S. border right now you have around 9,000 black immigrants who are trying to apply for asylum. The major forces [behind this] are U.S. imperialism, capitalism, militarism. At the root of forced migration is poverty–or rather, impoverishment, to be more precise–impoverishment due to neoliberal economic policies which are a tool of imperialism meant to squeeze more profits out of labor and to also be able to consolidate and secure more markets and serve the interests of global monopoly capital, and that’s really what’s at the root of the current exodus. They’ve been driven out of their countries by impoverishment. Daniel Castellanos, a Peruvian immigrant and H-1B guest-worker based in New Orleans, is a founding member of the National Guest-worker Alliance, which formed after he and others exposed the exploitation and mistreatment of he and hundreds of Indian guest-workers who were brought to the U.S. during the cleanup following Hurricane Katrina and treated as modern-day slaves. This is the ‘corporation era,’ it is just pro-corporation with nothing to do with labor rights. Local workers are losing their rights, all the jobs are turning out to be temporary. It’s a copycat of the guest-workers–guest-workers don’t have rights, we don’t have anything–low wages, low rates, low payments and they are doing the same to local workers too, through the temp agencies. Employers are bringing us to replace local workers. And they are pitting us against each other, saying ‘these people came to take your job’ or ‘these people are lazy’–divide and conquer is one of the games of the system. If we don’t organize, if we don’t realize and educate our members, we are going to fail at this game. “We had never been familiar with such an experience like that, seeing the masses of people in desperation, fleeing en masse like that….They love their countries, they love their homes, but due to violence, and corruption and bad politics they have no choice but to make this trek through unknown territories in the hopes of finding something better,” he explained to MintPress News. While plenty of food, clothing, and basic supplies have poured in, refugees still have a basic need for psychological support, medical care, and general information–a lack of which has led to small groups splitting off from the caravan, where they are often faced with mass abduction and a complete disappearance into the lethal underworld of human trafficking. We are just trying to fill their needs as best as we can. 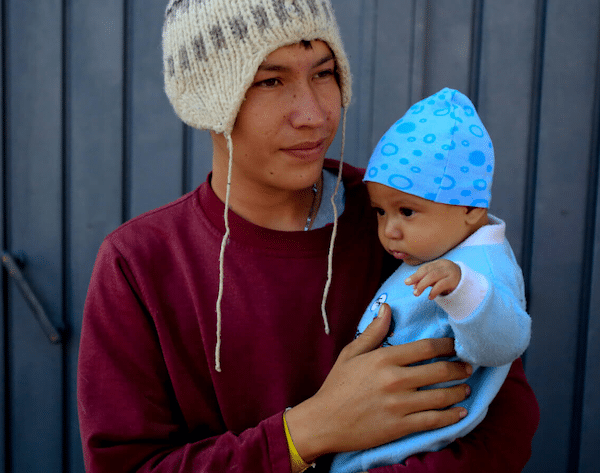 Our time here is limited but we try to help–if they say they need sweaters, socks, diapers for the babies, or to help build tarps–that is the time that we can best invest. When we get back home, we hope we can use the connections established to continue assisting and ensuring that their passage is safe and that we can continue helping them if and when they get back to the United States. Members of IMA also devoted their spare time to assisting the caravan in whatever manner they could. 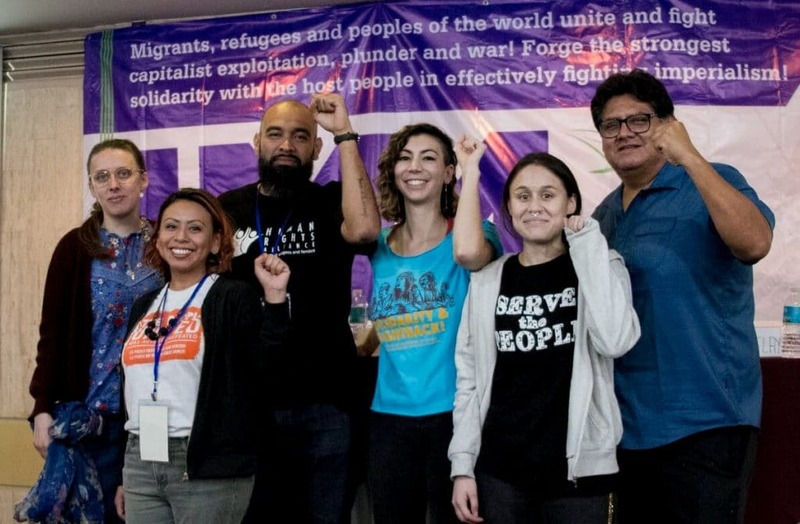 The alliance saw it as their duty to not simply hold their meeting, strategize, and cover the political aspect of the migrant struggle, but to extend–in concrete terms–their solidarity to the caravan. “When we got to the stadium it was clear yes, this was an exodus–an exodus due to policies and a type of global development model that fails to meet the demands and the needs of the people…These people are just trying to figure out a way to survive, and migration is a way to survive,” Osuna said. One of the purposes of our visit has been to assess the legal, medical and basic needs of the community…I was really impressed by the strength and hope that the caravan has. They have traveled thousands of miles to protect their families and kids but they are still strong. The experience was also really sad for me. I have seen caravans before, but this was new for me because I saw so many displaced people who were both tired and happy, and that really touched me in my heart but these people are very strong, with great spirits. They are very disciplined and that gives me hope. We spoke to several groups of children, women, men, teenagers. We actually tried to ask them why many of them are coming from Honduras. Mothers of five, mothers of three, they left because they cannot come up with the economic needs anymore–they are being taxed so heavily by the gangs, the government gives them no protection, they are worried about the future of their children. Actually, for the women, the only reason why they left Honduras is because of their children. They think if they cross the border they will have a better life–not for themselves, but for their children–which is a very common story for migrants across the world. There are 260 million migrants [worldwide] and this is the same type of story everyone is saying. The men are looking for jobs, they have been trying to work but fail–they only get two months, three months, a few weeks and then they are fired–there are no jobs and even if they get a job, the pay is not enough. So many of the young men expressed their intention to look for jobs overseas–some even want to go to Spain, to Canada! 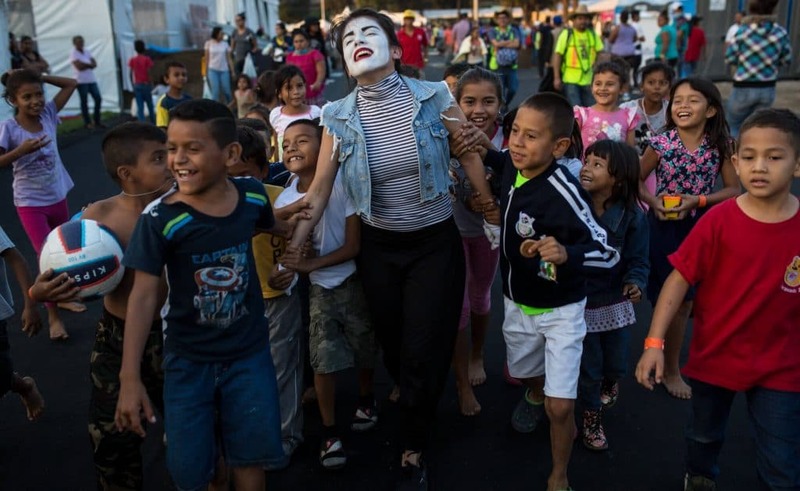 They do not know how, the only thing in their mind is that if they can reach the Mexico-U.S. border they can pass through it and find a way to go. I can see how desperate they are and I feel very disheartened. This is the case that even I experienced–we left our countries simply because of poverty, hunger, no money for education and we are thinking of our children. Our message to them is that we understand their decision, whatever people say about them–whether it is good or bad–if they believe in their decision, they should pursue it. For us, we will make sure that we will stand by and make sure that no one is going to harm them and we will condemn the U.S. government for preventing them or even harming them just for the sake of their (fight) for survival. Lestari explained that while providing aid and raising funds is important, it can only be one part of a holistic approach–a tactic that serves the broader strategic goal of liberating people from the global system that propels these exoduses and migrant crises. But in the long run, we understand completely that all of us–including Honduras, Latinos, Asia, Africa, Caribbean–we are all victims of how unfair the system today is, because the very rich countries like the U.S., Canada, Germany invest in our countries through the transnational corporations [and are] taking away our resources, plundering our land, killing our people and indigenous leaders, and they are displacing us! And that’s why, generation by generation, what we see is not even development! So if they are selling to us that they are developing the world [and] we tell them: this is a lie. The thousands of people who are joining the caravan are living proof that their so-called ‘development’ doesn’t work. What they are doing is actually harming rather than developing. But in the long-run what we want to see is system change. There is no other way! They cannot just stay in the United States, someday they have to go back to Honduras. By that time, the system must reform. We are living in a time of great sadness but we’re also living in a time of great resistance of peoples and sometimes, the struggle for freedom is the next best thing to being free.